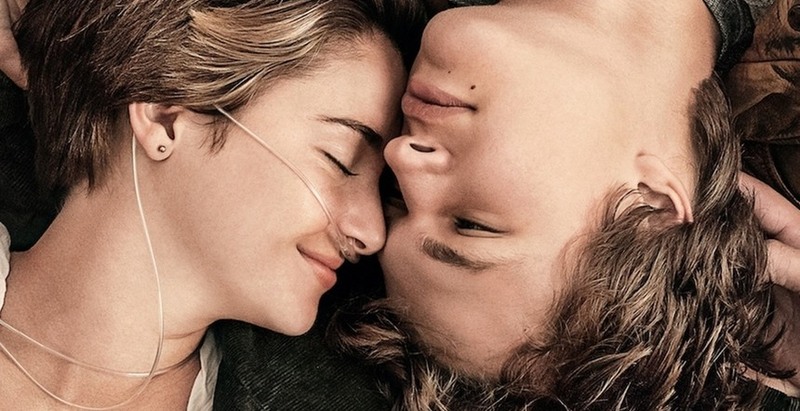 I don’t go out of my way to read sappy or depressing books, but, for some reason, probably to do with the excellent reviews it received, I sought out The Fault in Our Stars by John Green, knowing that it was about kids with cancer. Now that’s a topic that comes pre-loaded with an emotional reaction: It’s like showing a picture of a basket full of puppies and kittens chugging along a conveyor belt into the blade of an industrial saw. Even knowing how manipulative the subject matter would be, I trusted that the author would do right by his characters. It turned out that my trust was rewarded with a sweet story about teenagers with cancer dealing with love and the fact that they know they’re going to die far sooner than most of us do. It’s one thing to accept the fact that all that live will one day die, no matter who, no matter how wonderful or how loathsome, it comes for us all. It’s another entirely, since most of us live long enough to indulge in the supreme illusion that helps our lives not be an unremittingly miserable trudge to oblivion, being the denial of death, dying when you’re a kid, a teen, or barely out of your teens. It seems pretty unfair. We call it tragic when it happens to a kid, but is it any less tragic when it happens to a nineteen-year-old? Well, it depends on if you’re the nineteen-year-old, I guess. And I guess it depends on whether the nineteen-year-old is your kid. Or your best friend. Or the love of your life. I’m old enough that I don’t look at a story like this and think about it as its initially intended audience or readership would have been expected to: I acknowledge that it’s from Hazel, the main character’s, perspective, but I think about it and look at the story (unfortunately or fortunately) from the perspective of the parents of kids going through this, rather than the kids themselves. That’s fine, it doesn’t compromise my enjoyment or appreciation of it at all, I don’t think. The two viewpoints blend or separate depending on where the story is going. Pretty much the entirety of the book has been translated to the screen, and the entirety of Hazel and Augustus’s story, of their friendship and their love, and their pursuit of an author, makes it there too. I’m always going to be biased towards the book version of anything, as is any pretentious git who ever asserts “Well, darlings, of course the book was far superior”, but that’s an unhelpful lens to look through in terms of the movie. Take it on its own merits, that’s what I say. It’s unfair to do otherwise. Hazel (Shaileene Woodley) is a kid with cancer. She’s had it since she was little, but it’s somewhat in remission now. It’s Stage 4, and in her lungs now, and the thing about "stage 4" is that there is no stage 5. So while she’s okay, despite having to use a nasal cannula (tube) connected to an oxygen tank all the time, it’s not like her prognosis is for a long and health active life way into her 90s. So what do you do in such circumstances? Do you live life, like the rest of us, pretending that death is not just around the corner? Or do you mope through, unable to see the point in anything, like some of us who aren’t even dying of cancer? She is understandably diagnosed as being depressed, which though understandable is perhaps inaccurate, but it does lead to her being compelled to seek the solace and companionship of a support group. The film is nowhere near as scathing about the support group as the book is, because a lot of Hazel’s legitimate anger towards the platitudes and the empty positivity that are abundant there, and how little consolation it brings her, fills up probably the first quarter of the book. Maybe they didn’t want to alienate the inbuilt audience for this by being too truthful to the book. Regardless of Hazel’s snark, this section does emphasise how isolated she is from other people, kids her own age, whether they’re living with cancer or not. Is it that she’s afraid of caring about other people who, like her, could drop off the twig at any moment? Or does she just not see the point of adding to her hassles, since, let’s be honest, other people are a hassle? Enter Hassle Number One. Augustus (Ansel Elgort) comes along with a buddy to the support group, and spends all his time checking Hazel out and smiling at her. Smiling constantly at some girl you don’t know could come across as creepy in different circumstances. There’s a mentally ill guy who hangs around the station where I catch the train in the morning, and he smiles quite joyfully, and, it has to be said, lecherously at women hurrying their way to work. He’s most likely not going to have any flicks made about him, not with his trackie dacks being in the state that they’re in. Augustus isn’t as creepy, but he is as insistent, but perhaps has a better chance. He works his way into Hazel’s life, almost against her will, with her setting firm boundaries on not wanting any romantic entanglements, and him blissfully ignoring them, because he has a winning smile and is overflowing with boyish charm. I guess. The two kids are clearly in love, and are clearly going to be ‘together’, whatever that means in any context. That’s not a spoiler, because this is a romantic flick, and it’s on every poster. Why shouldn’t they be? Well, Hazel has less reason to seem reasonable here, since they omit from the book an element of Augustus’s previous relationship with another girl who had cancer and who passed on, but the sentiment remains: she doesn’t want to cause anyone else any pain. It bothers her than when she dies, all she will leave behind is pain and ruin for her parents, who themselves have been on a precipice of agony since her diagnosis, always hovering, always wondering when the Reaper's scythe is going to fall. She doesn’t want to be loved by someone who is going to ache when she goes. Is it a noble sentiment? Perhaps, but the movie doesn’t treat it as such. Rightly, and it’s just as strong a theme from the book, pain deserves to be felt; our deaths, if we are loved, will hurt people, but it’s a pain that’s worth it, it’s worth the pain to love and be loved, regardless of and because of the scars that will be left behind. So Hazel’s arc is not whether she’s going to fall in love with Augustus, because she’s as besotted with him as we end up being with them together, it’s whether she will allow herself to love someone as if the horizon stretches infinitely before them, like there is always a tomorrow, like their love is worth it no matter how long or brief. Hazel and Augustus end up in Amsterdam due to their shared love of a particular book written by an author living in seclusion (Willem Dafoe, overacting as per usual, but it works well this time). The book itself doesn’t matter, but for reasons that are woven into the second half of the movie, it becomes very important to Hazel for her to find out what the author believes or thinks would have happened after the end of his novel. Look, Hazel, you’re young, you’re not wise to the ways of the world, but anyone who knew anything about authors would tell you what was going to happen. What does happen is a delightful trainwreck, but what it points to is what Hazel’s greatest fear is: she wants to know that the people she leaves behind will be okay when she dies. She doesn’t just want to be consoled that they’ll be okay, she wants some kind of certainty. If she can find out from the author that his characters were ‘okay’, somehow that would guarantee to her that it would be so. Of course, we would say, such a thing is impossible, but who are you to say that to a kid dying of cancer, you monster? We’ll forgive her this like we’ll forgive them anything, because it also leads to a rich and meaningful conclusion, which is all any of us can hope for. This may be a five-hanky weepy, but don’t let that put you off. The performances are fine, and, like the book, they choose to work a lot of gentle jocularity into the story. Augustus is never mopey, he’s the direct opposite of Hazel in that, and he manages to lift the flick up into a light and perversely enjoyable place, in the same way that Hazel grounds it and makes it all mean something. With two different actors as the leads, it might not have worked as well. Shaileene Woodley is solid in everything I’ve ever seen her in, and she’s just as solid here. She can be understated, she can be expressive, and she can sell the hell out of scenes, no matter how simple or complicated they might be. Ansel Elgort (what a name! And I thought I grew up with a fucked up name! ), as Augustus, is perhaps not as compelling, but all he has to do is smile sweetly at Hazel and convince us as well as her as to how totally wonderful he thinks she is, and how he wants to spend the rest of his life with her. Hmm. Yes, well, it is certainly possible that the later section of this flick will cause many viewers to dehydrate from excessive crying. The beautiful woman I saw this flick with sobbed like there was no tomorrow for any of us, let alone this beautiful, doomed couple. I wasn’t as gutted by the ending, because I guess I knew what was coming, but also because I was consoled by the elements that gave the ones who survive in the end the joy they felt; the joy and wonderment at the paradox of our lives, how our lives and loves and pains can be so short, so finite and so infinite as well. The Fault is not in our Stars, dear Brutus: it’s not in us either, and while there may be minor ones in the film, they are not enough to block the sweetness that shines through.